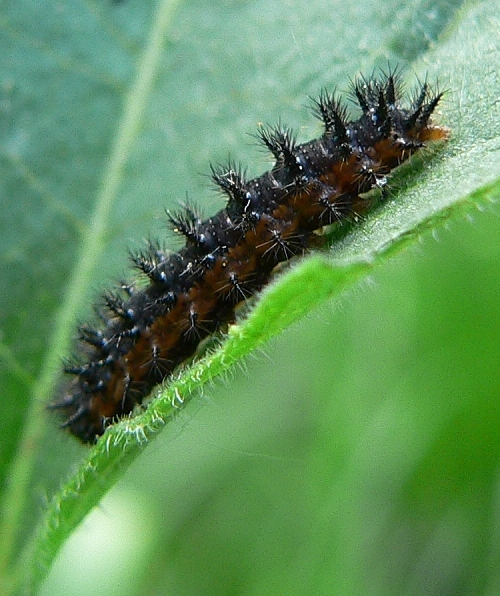 I found numerous small caterpillars on some small sunflower plants that were growing along a path through our woods. 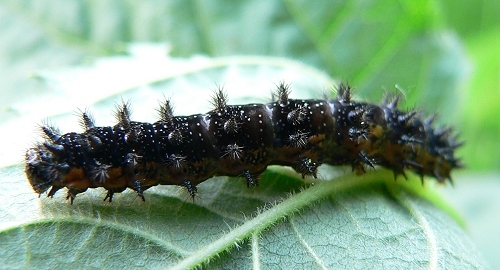 Most of the caterpillars were on top of the leaves. I brought them home and fed them more sunflower leaves. 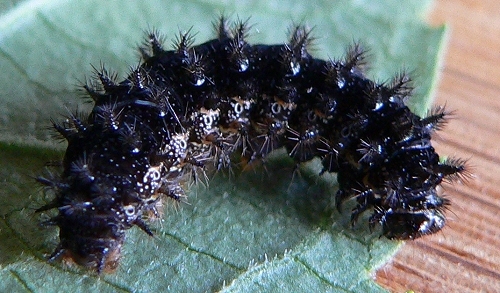 The caterpillars had some color variation - I don't know if it was individual variations, or differences in instars. After about a week, they began to make chrysalises. 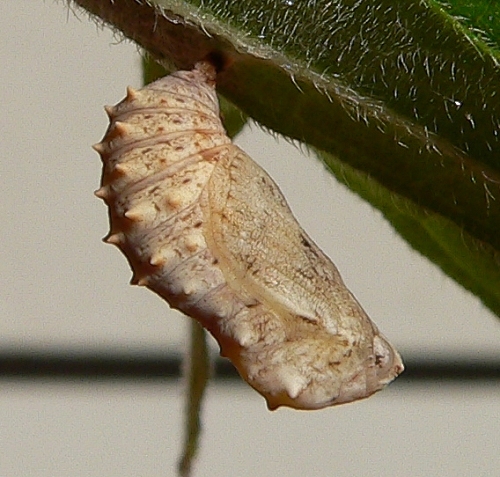 There were two color variations in the chrysalises. I wonder if it was because of the different materials they were formed on. This one was formed on the underside of a sunflower leaf. 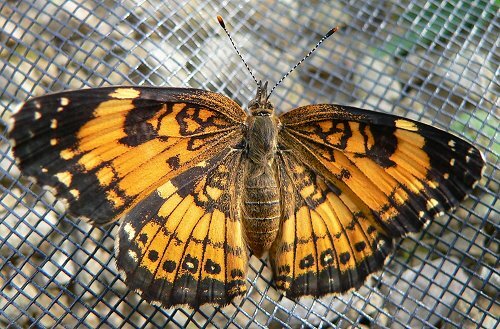 This one formed on the screening at the top of the cage. 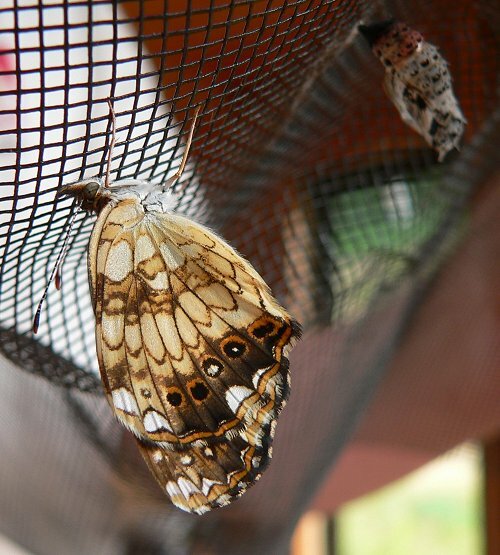 The butterflies hatched about a week later. 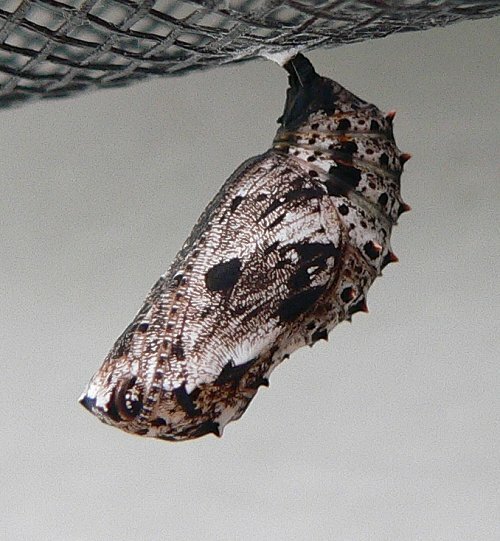 Here's one with its old chrysalis in the background. This entry was posted on Wednesday, February 25th, 2009 at 5:27 pm	and is filed under Uncategorized. You can follow any responses to this entry through the RSS 2.0 feed. Both comments and pings are currently closed.